This client wanted to install a small amount of solar power now with the potential for adding more in the future. 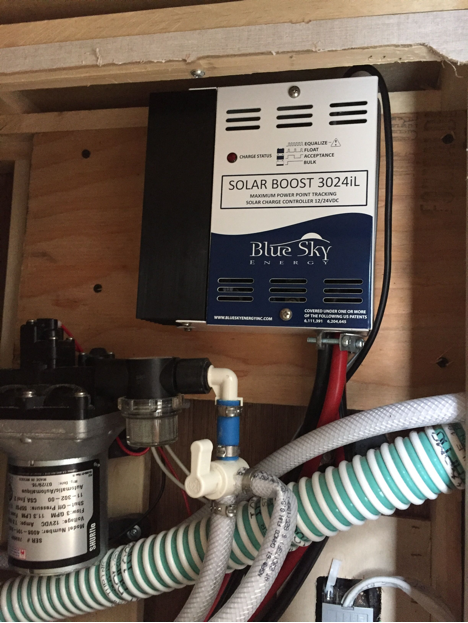 We fully wired their trailer, installed a 40A Blue Sky charge controller, our AM Solar Roof Combiner Box, and 360 Watts of solar power. When ready to expand, all they will need to do is mount more solar panels to the roof, and wire them into the Combiner Box. That’s a job they should easily be able to do themselves as a DIY project now that the hard work is out of the way.